In the UK there is a tradition on the Tuesday before Ash Wednesday of making pancakes, based on the idea of using up eggs and fats in the kitchen before the fasting days of Lent. Other European countries have Carnival instead. Amongst them are Germany, Italy, Holland and Denmark. Historically the most lavish was in Venice but this was abolished by Napoleon at the end of the eighteenth century. The first more modern interpretation took place in Cologne in 1823. There is also a long tradition of Carnaval (spelt differently) in Spain. Rome was a big influence on the country and the wild winter solstice ritual of Saturnalia may be at the root of this festival. These Roman festivities had parade floats, using boats mounted onto a cart and were often permissive and blasphemous, bending the rules of the established order. The name is thought to come from a “farewell to the flesh”, the carne part, meaning meat and valle meaning farewell, symbolizing the lack of meat in the diet during Lent. The festival has changed a lot in modern times but still has an atmosphere of rebelliousness, before the arrival of Lent with its abstinence and penitence. Carnival was forbidden in Spain for 40 years by the dictator Franco, and couldn’t reclaim its inheritance until the reestablishment of democracy in 1981. Today in Mallorca, and all over Spain, it is a lively and popular event. The Carnival Parade, where groups dress up in costumes and walk the streets, often dancing to music or throwing sweets or confetti is called Sa Rua de Carnaval in Mallorca. It takes place at the weekend after the British Shrove Tuesday. Don’t be surprised by anything you see in Carnaval. Lorry drivers performing the chorus from Sister Act in full nun’s habit, a swarm of giant dancing bees, schoolchildren demonstrating the activities of an Olympic team followed by Mickey and Minnie Mouse. 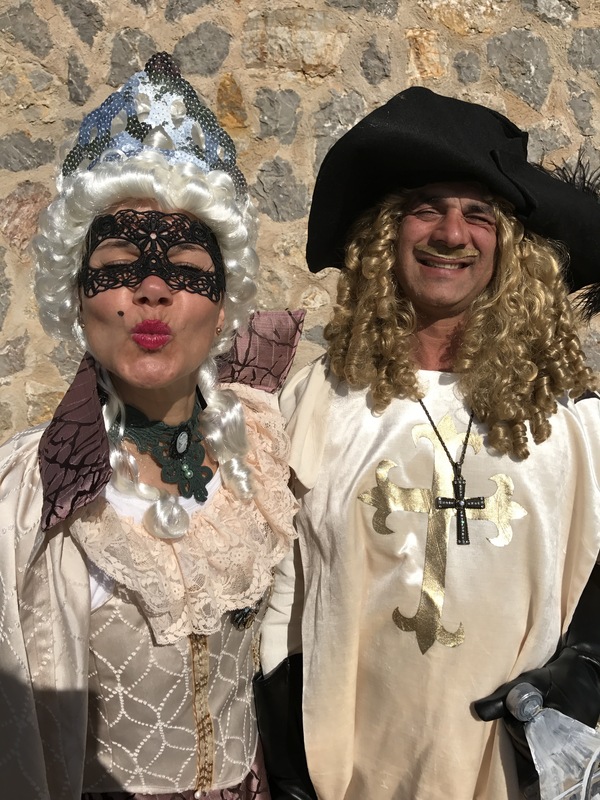 Earlier this year in Sa Pobla, riders from Hipica Formentor dressed as D’Artagnan, the three musketeers and the ladies from the court to make their appearance in the annual parade. Every year it’s a new challenge to find a theme that works with horses. In the past, we have tried being medieval knights and last year we were Smurfs on horseback – although a few of us didn’t think this was our best look. Alexandre Dumas’ story gave us every excuse to dress up, wigs, hats with feathers, masks, big dresses and as most of are women, rather amusingly moustaches and beards. 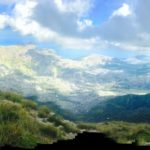 What will next year bring? We are thinking of James I the first Christian King of Mallorca, his knights and courtiers. Join us for riding lessons or hacking out and join in with our activities.